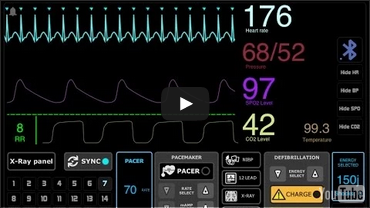 New teaching software that replaces a defibrillator and ECG Rhythm Simulator. 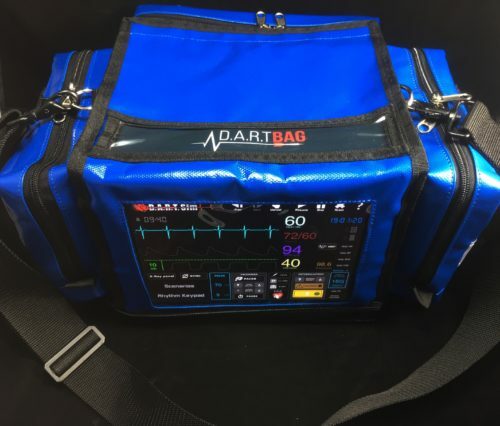 With our program at your fingertips, you can practice capnography, defibrillation, 12 LEAD, synchronized cardioversion, X-Rays, transcutaneous pacing, and much more right from your computer at a fraction of the cost of real defibrillator equipment. You can even use your existing CPR manikins and equipment. D.A.R.T. 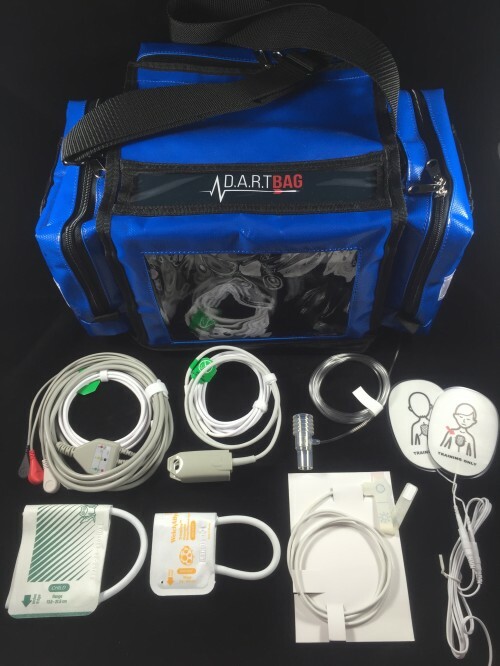 Bag -“Starter Package” – Get 1 Set of Pediatric Defib Pads FREE! 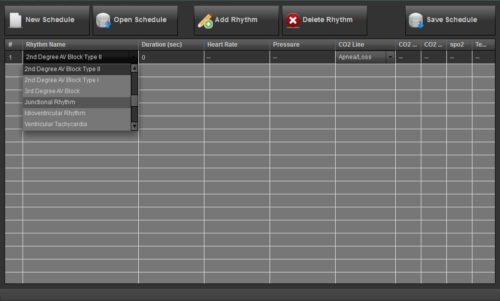 DART ECG Simulator is indicated for use in various medical training courses. Such programs include ACLS, PALS, NRP, ECG, paramedic, and nursing. 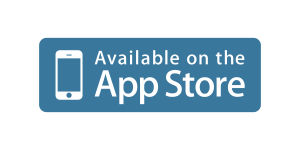 Your students and staff will be amazed with our simulator. 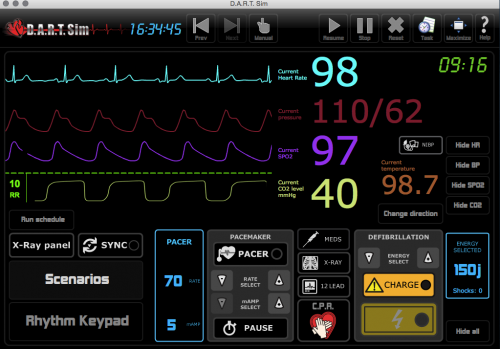 DART ECG Simulator can also be displayed on a Windows tablet, iPad, iPad Mini, touch screen computers and monitors. 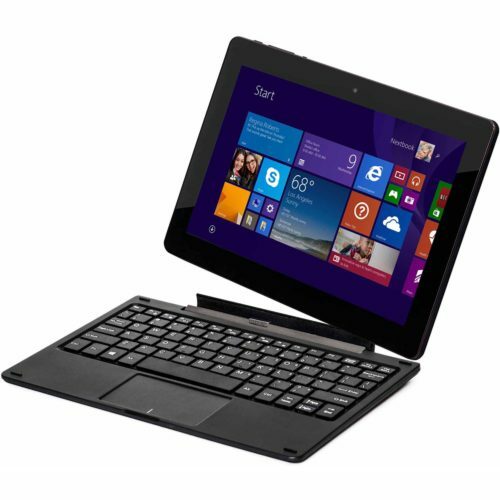 OUR SOFTWARE IS AN INVALUABLE, “ALL IN ONE” TEACHING TOOL WITH NUMEROUS BENEFITS AND USES! 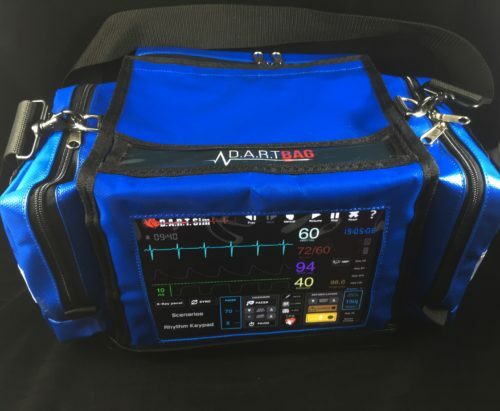 Been teaching ACLS and PALS classes for over two decades and this is the best teaching tool EVER!